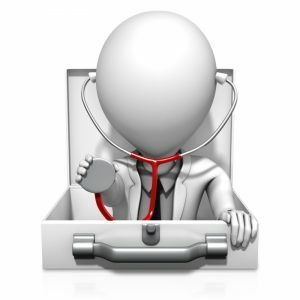 Patients often ask how do you maintain your health and youthfulness? What do you personally take? I need to walk the walk and practice what I preach. I need to set an example for you. You can do this. You may need our help and motivation. There are many variations of this rigorous approach. You do not need to follow this implicitly. But the closer you can approximate this, the better your results. For 20 years I have advocated the same routine. The basic approach is consistent. Variations on a theme. The Paleo diet. Low Carb. Modified Atkins diet. Basically high protein low carbohydrate. You can read the classic Protein Power by Michael and Mary Eades. My good friend and highly successful entrepreneur, David Asprey, is the next chapter in in this tradition. His BulletProof diet consists of high-fat, high protein and low carbohydrate. He especially emphasizes high-quality high-fat. I caution against bacon, sausage, bratwurst and other forms of high free radical containing proteins sources. But we all agree that carbohydrates is the problem, not fat. 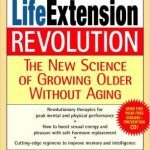 Then read my own best seller, Life Extension Revolution. and a bowl of Bob’s Red Mill gluten-free oatmeal. Using 1/3 cup of oatmeal and sufficient amount of Vanilla hemp milk. 4Sight from Orthomolecular –enhance vision. That may seem like a lot. I make up a series of seven packets at the beginning of the week. You can find these packets at the following address. One of many sources. I only need to pop a plastic packet of the above each morning. Takes no time at all. Even on vacation I set out 14 individual packets. For lunch I have another protein shake. Fortified with 1 teaspoon of carnitine tartrate (3 grams), two scoops of whey based protein. That’s it for the rest of the day until dinner. I have a rather light dinner with vegetables and protein usually chicken sometimes red meat and sashimi twice weekly. Nattokinase 100 mg – as an anticoagulant prevent heart attacks and strokes. It’s a routine that have kept up for the last 20 years. The goal is to promote health and well-being, stress reduction, cognitive enhancement. Prevent heart attacks and strokes. Prevent hospitalizations. You want to keep healthy, fit and active. It is always been the goal that I am trying to foster with each of you. Keep you out of hospitals. Maintain independence health and fitness well until late 80s and even 90s. You can do this. Call us for help. Another good question Peter. Theoretically, acetal-l-carnitine is a polar compound which crosses the blood brain barrier more efficiently. But my empirical observations have shown that carnitine tartrate also crosses the blood brain barrier’s in sufficient dose. Most people take insufficient doses of carnitine tartrate. I recommend 3 grams twice daily. At that dose you will see brain uptake. Some see better results from as a Acetyl-l-carnitine. Others see better results from carnitine tartrate. Ideally, you take both For somatic and brain affect. Rather than taking carnitine tartrate, wouldn’t it be better to take Acetyl-L-Carnitine, because it is able to cross the blood-brain barrier? A good question Peter. Often asked. The real issue is whether L-lipoic acid is harmful. Because the a racemic mixture of r-lipoic acid and L-lipoic acid will still give you sufficient quantities of r-lipoic acid. I have not seen enough studies to prove that the r-lipoic acid is superior to the racemic combination. The r-lipoic acid is much more difficult to isolate. Therefore it is more expensive. 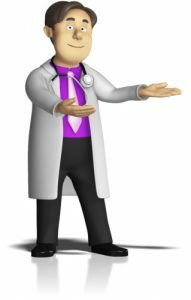 Instead of using Alpha Lipoic Acid, isn’t it better to use R-Lipoic Acid, or maybe even Super R-Lipoic Acid (LEF product)?